Hundreds of kids and adults took the opportunity to cool off Memorial Day weekend as the Zephyrhills Police Athletic League (ZPAL) re-opened the Hercules Aquatic Center after months of being closed due to county budget cuts. ZPAL president Mark LaMonte approached Pasco County Commissioner Jack Mariano and Pasco County Parks and Recreation director Rick Backman in January proposing to enter into a cooperative contract to re-open the popular recreation facility. 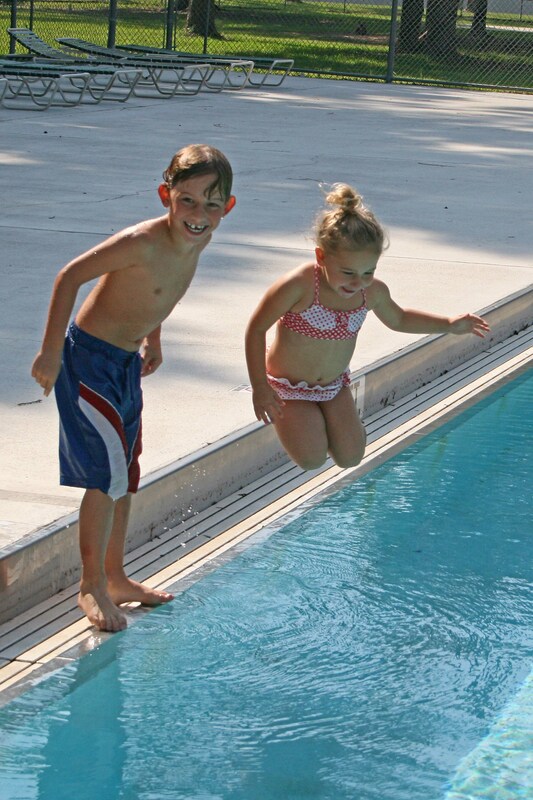 In the above photo, Zachary Wexler, 6, and his sister Kyra, 3, were the first to get into the re-opened pool. Thanks to ZPAL for getting this done. It is great to have it back in the community. Stop in for a splashing good time!